Even as the governor of the State of Mexico, Eruviel Avila, strives to declare that his administration will not tolerate organized crime threatening or intimidating the authorities or attempting to take control of any local municipality, the truth is that "La Familia Michoacana", "Los Templarios", "Los Zetas" and other cartels have a presence in 52 of the municipalities, which is reflected in exacerbated violence and an increase in executions. The most disgraceful case is that of Pemex Street -- "the nightmare street"--, in Ecatepec's Colonia Obrera Jajalpa, where just last January 21 persons died. ECATEPEC, MEXICO (Proceso).-- It's only one hundred yards long, but in the past six months Pemex Street, in Colonia Obrera Jajalpa, acquired notoriety because 21 persons have been executed or their bodies dumped there, local residents say. "This is not a life any more! ", exclaims a woman in the neighborhood. She has her eyes fixed on one of the drug pushers in that area, where "halcones" (lookouts) swarm 24 hours a day on one of the corners on this cobbled street, that, she reiterates, is one of the most violent in the municipality and in the state. The nightmare -- that's what Mexico State residents call it -- began when Enrique Pena Nieto was governor. In fact, he left it as inheritance for his successor Eruviel Avila, whose administration knows that in that environment, organized crime groups, among them La Familia Michoacana, control half of the 125 Mexico State municipalities, especially those on the border with Mexico City. 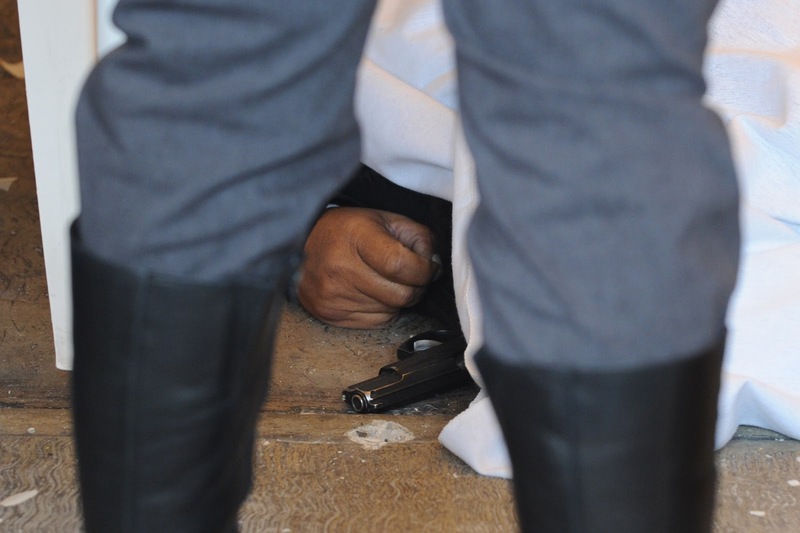 According to internal reports from the government of the State of Mexico, in the last five years the conflicts between La Familia and Los Caballeros Templarios and Guerreros Unidos -- these last tied to Los Zetas -- have taken 2,221 lives. Last January, the most violent month, there were 105 deaths related to crime in the Toluca valley and in this municipality. On Pemex Street in Ecatepec, violence affects the inhabitants, homes, businesses; its tracks can be seen in the streets' battered cobblestones, impregnated with dark stains; they are bloodstains from the victims of the criminals who are fighting over the plaza. Afraid of retaliation, nobody dares clean them up. Saturday is market day in the neighborhood and everybody comes out to do their shopping, including crack and cocaine addicts, who gather at a place known as "El Punto", located on the corner of Pemex and Kennedy (Streets). There, they can get drugs at any hour of the day. The dealer, a lean young man with long hair, looks with distrust at passersby who are not from the area. He's not from the neighborhood, but he knows almost everyone who passes through there. He observes every move while he talks with the driver of a bicycle cab. There's no way to avoid him to take photos of the concrete houses, most of them one or two floors. One stands out with bullet holes on its orange colored facade; its residents don't dare fill in the holes so they won't be exposed to the scrutiny of the halcones. Last month, violence in Mexico State increased; there were 105 persons executed -- 39 of them in Toluca, the capital city -- surpassed only by Chihuahua, with 142 (killed), according to news reports. Of the Mexico State municipalities, the one most affected has been Ecatepec, where Colonia Obrera Jajalpa, five minutes from the municipal seat and a half hour from Mexico City, where violence on Pemex Street has increased since late last year. Last year in October, in broad daylight, a group of gunmen picked up (abducted) five adults and a 14 year old boy. Their bodies were dumped hours later on that street. On December 8, an armed group invaded and began to shoot at the houses. On January 2, there were three executions; seven days later, another two, and on the 22nd, another pair were killed. The 13 bodies were left out on the street for several hours. "Nobody pays attention to us. This has been going on for some time, we've denounced it but nothing happens. At dawn, two pickups with soldiers and others with police officers went by. But, look!! that didn't even scare them," a local resident tells the reporter and his photographer. "Well, of course they don't get scared! Even the cops come here to buy drugs from them. It's too much", another exclaims. The residents recall that the peace was interrupted on July 21, 2012. A young drug pusher known as Alan was murdered on Pemex Street. Since that time, there have been 21 deaths. "Nobody did anything. And when we reported it, the police told us to stop complaining, that it was normal," comments one of the interviewees. The State of Mexico shares hundreds of miles of border with the Federal District (D.F.). The boundary line gets lost in streets, residential units, rivers and empty lots full of trash. Approximately six million people live along that border. There, residents say, the violence is uncontrollable. The municipalities of Ecatepec, Nezahualcoyotl, Tlalnepantla, Los Reyes La Paz, Chimalhuacan, Huixquilucan, Atizapan and Naucalpan make up part of the urban borders disputed by seven drug cartels, according to internal government reports consulted by this reporter. According to the map of organized crime in the Mexico territory, La Familia Michoacana, Los Caballeros Templarios and Guerreros Unidos are the main groups fighting over the plaza, although there's also the Nueva Generacion, the Sinaloa Cartel, what's left of the Beltran Leyva (Organization) and the Zetas. Of the 56 Mexico State municipalities in which organized crime operates, La Familia Michoacana has a presence in 54, among them Nezahualcoyotl, Ecatepec, Chimalhuacan, Chicoloapan, Texcoco, Amecameca, Chalco, Coacalco, Ixtapaluca, Huixquilucan, Naucalpan, Zumpango, Zinacantepec, Atlacomulco and Valle de Bravo. It (La Familia) is also fighting for control of the municipalities in the southern part of the state, such as Luvianos, Tejupilco, Anatepec, Tlatlaya and Tonatico, which border Michoacan and Jalisco and make up the so-called "tierra caliente" (hot country). Los Templarios and Los Zetas are also in that area. On May 10, 2010, when he was still governor, Pena Nieto stated that Mexico State and the Federal District had become the den of the drug trafficking bosses. According to him, the metropolitan zone was "the great consumer market" that the groups were fighting over. 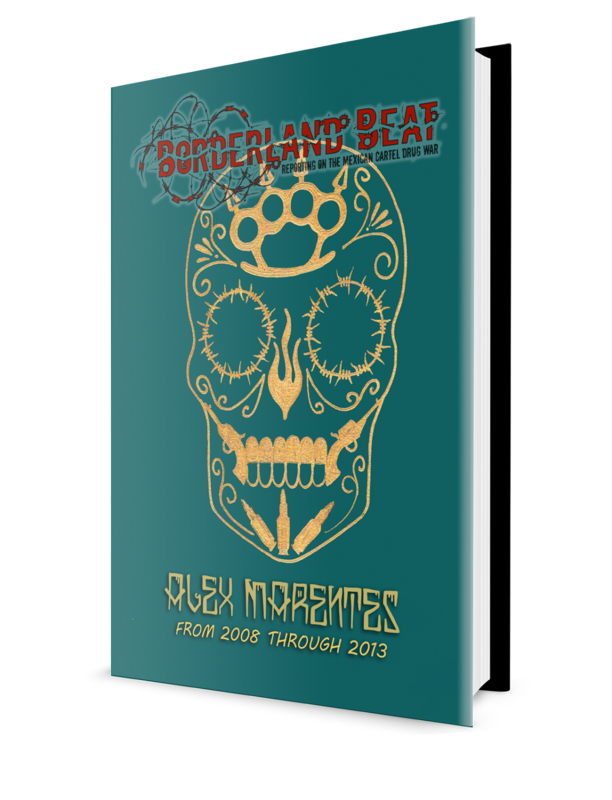 From 2008 to date, Mexico State authorities 2,221 executions in all of the state. 2012 was the most violent year, with 523 (murders), most of them in the eastern part, but especially in Ecatepec. The documents consulted by this reporter indicate the struggle dates from March, 2011, when mantas appeared in Michoacan municipalities announcing the split of the Familia Michoacana and the arrival of the , whose gunmen are fighting over the Michoacan, Guerrero and State of Mexico plazas. In the interim, the group Guerreros Unidos was formed. Mario Covarrubias Salgado, aka "M", who worked for the Beltrans in the State of Guerrero before allying himself with the Familia Michoacana in Chilpancingo, moved to the State of Mexico. Finally, he joined a different group and joined Los Templarios to grab Guerrero and the State of Mexico from his former allies. Investigators with the State Attorney General have identified the leaders of La Familia in each municipality; they also know that they are led by Jose Maria Chavez Magana, "El Pony", whose base of operations encompasses Ecatepec and Nezahualcoyotl Municipalities. A police file consulted by this reporter shows, for example, that "El Pony" is originally from Tepaltepec municipality, where he took care of ranches and cattle. He's five feet tall and is between 40 and 45 years old. "He's very careful; his own gang members can't speak directly with him; he does everything through his secretary, who they call Carlos of 'La Sombra' (the Shadow)", according to the document. 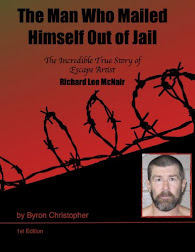 The file also states that he escaped from the Zitacuaro prison in 2007, where he had been imprisoned after he was extradited by U.S. authorities. Today, "El Pony" is a key part of La Familia Michoacana in the State of Mexico. In August of 2012, military patrols on Mexico State territory were strengthened. 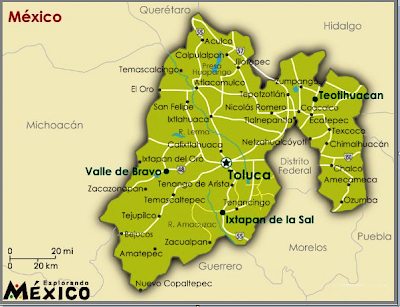 Despite that, the discovery of 12 dismembered bodies in Toluca City compelled the federal and state governments to increase the presence of soldiers in the periphery of the State of Mexico and the Federal District. The Mexico State landscape around the Federal District is arid and rocky on the eastern side. There are no large constructions or green zones. Many streets are unpaved and, in municipalities like Ecatepec and Nezahualcoyotl, garbage collection service is provided by mule-drawn wagons that are also used to transport drugs from one neighborhood to another. On some street corners they sell crack, cocaine and marijuana at any hour of the day. Drug pushers also offer home delivery services by phone or internet, which, say neighbors, reduces risk. The majority of the pushers and buyers are adolescents. From 2002, authorities recorded the presence of the Neza Cartel, led by Delia Patricia Buendia Gutierrez, "Ma Baker", whose control was felt in that municipality, including the Iztapalapa precinct, on the eastern side of the Federal District. On the other side of Nezahualcoyotl and Ecatepec, towards the north, the panorama is different. In Huixquilucan, where homes and luxury apartments proliferated after 2006, there are also signs of drug trafficking. Last November, Army troops arrested Jesus Alfredo Salazar Ramirez, alias "El Muneco", suspected lieutenant of Joaquin Guzman Loera, "El Chapo", in that municipality. In September, 2008, the bodies of 24 construction workers were found in the El Olivo cliffs, Ocoyoacac municipality, near Huixquilucan. In 2010, in Bosques de la Herradura, soldiers detained Jose Gerardo Alvarez, "El Indio", along with 15 members of the Beltran Leyva Cartel. Edgar Valdes Villarreal, "La Barbie", had a house in Huixquilucan, where there were 25 executions in 2011. 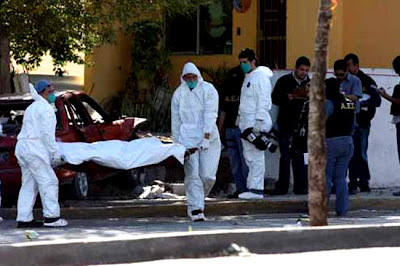 The following year, there were 12 bodies found in the town of San Juan Yautepec, in the same municipality. In September of 2011, in his fifth government report, Enrique Pena Nieto manipulated the statistics when he asserted that the murder rate in the state had decreased from 16.5 to 7.6 per 100,000 inhabitants. The British journal, the Economist, immediately contradicted him with statistics from the (Mexican) National Security System, according to which deaths increased 62% from 2006 to 2007. And this past January, when violence took 105 lives, Governor Eruviel Avila leaped into the spotlight to state that his government would not allow organized crime to threaten or intimidate authority or attempt to take control of any of the 125 municipalities in the State of Mexico. Despite that, during a trip of several days through the municipalities bordering Mexico City, this reporter took note of the fact that (drug) cartels control streets, parks, avenues, and businesses; from these last they demand protection money. On the corner of Lazaro Cardenas and Alfonso Sierra, in Nezahualcoyotl, for example, cocaine and crack are sold in front of municipal patrol vehicles; retail drug sellers, in fact, travel to the Federal District openly, without being stopped by anybody. According to police intelligence reports consulted by Proceso, one of the principal routes for transporting cocaine coming from South America is the Bordo de Xochiaca, and from there, after circling the Mexico State loop, it goes out towards Queretaro and gets distributed all over the lowlands. Stolen cars also go out through that route, and they are sold whole or in parts in the local market and Central America. Professor Manuel Ambriz Roldan, a member of the National Institute of Criminal Science (Inacipe: Instituto Nacional de Ciencias Penales), denies that the increase in violence in Mexico State territory is a message for Pena Nieto, as it was for Felipe Calderon in Michoacan in 2006, when he declared war on organized crime. "The situation is different. For Pena Nieto, the problem of organized crime is an inheritance from Calderon, to whom the drug cartels did deliver the message that they were not going to surrender," states the researcher, who focuses on the presence of crime groups in Mexico City and Mexico State. He states that, in fact, these groups have grown more powerful in the State of Mexico, which is why he says the presence of the Armed Forces will not decrease the spiral of violence and death in the area. So, while organized crime establishes itself in more than half of the municipalities in the state, in Ecatepec, the residents complain because their mayor, PRI member Pablo Bedolla, is more concerned with bringing new animals for the ecological farm located in the Ehecatl hills than with finishing off the insecurity in the 500 communities, where today he only has 38 patrol vehicles. In a surfeit of incoherence, they tell you, Bedolla organized a parade in November to bring in Joey, the kangaroo, to the local ecological farm. His pleasure didn't last long because the animal died from neglect. The mayor had the bright idea of bringing in another exotic animal. He ordered the streets painted along the route where the new specimen would pass on the way to the zoo, where it would live with a pair of hyenas, Vietnamese pigs, and ostriches and Guinea fowls. On January 5, the reception was spectacular. On that day, a three year old, ten and a half foot tall giraffe arrived. Now, the priority of the Ecatepec city council is to name the pet, not to pave hundreds of streets, the maintenance of electric utility wiring in at lest 30% of the territory and the purging of the police force, some members of which are known because of their suspected ties to organized crime. 6 million people live in this area?There is no help from authorities. They need to rise up together and take matters into their own hands,or die one by,one like,sheep.Otherwise there is no hope,sad to say. I was under the impression that Guerreros unidos was workin with the Caballeros Templarios am I wrong? Just let them keep killing each othet. My family is from Estado de Mexico and our towns ran by LFM. Its always been a pleasent town. Bout 30 mins south of Toluca, nothing really major goes on there and I hope it stays that way. Use that drug money to open schools hospitals and public services! All this is for greed over money and its destroying the country! How about , " Nightmare Country "
"There is no help from authorities"